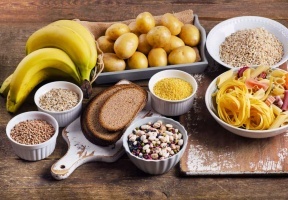 Eating carbohydrates in moderation seems to be optimal for health and longevity, suggests new research published in The Lancet Public Health journal. The observational study of more than 15,400 people from the Atherosclerosis Risk in Communities Study (ARIC) in the USA found that diets both low (< 40% energy) and high (>70% energy) in carbohydrates were linked with an increase in mortality, while moderate consumers of carbohydrates (50-55% of energy) had the lowest risk of mortality. 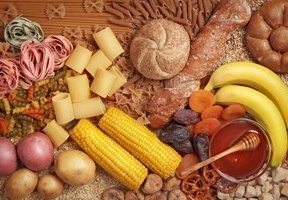 The primary findings, confirmed in a meta-analysis of studies on carbohydrate intake including more than 432,000 people from over 20 countries, also suggest that not all low-carbohydrate diets appear equal — eating more animal-based proteins and fats from foods like beef, lamb, pork, chicken and cheese instead of carbohydrate was associated with a greater risk of mortality. Alternatively, eating more plant-based proteins and fats from foods such as vegetables, legumes, and nuts was linked to lower mortality. “We need to look really carefully at what are the healthy compounds in diets that provide protection,” says Dr Sara Seidelmann, Clinical and Research Fellow in Cardiovascular Medicine from Brigham and Women’s Hospital, Boston, USA who led the research.